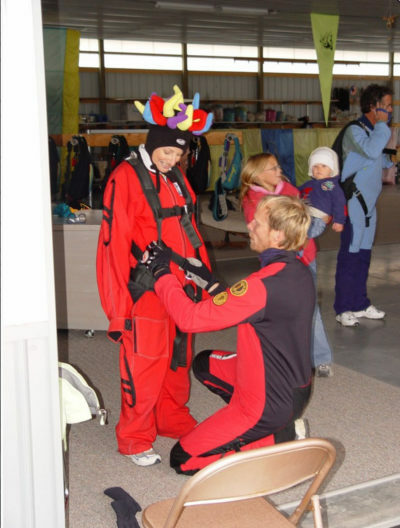 Charlie got his love of aviation in the military and now tries to spread that love to his students through skydiving. 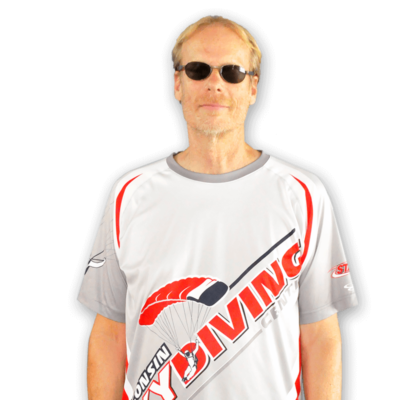 Charlie started skydiving in 1975 and has been a part of the WSC family since the very beginnings in 1998. 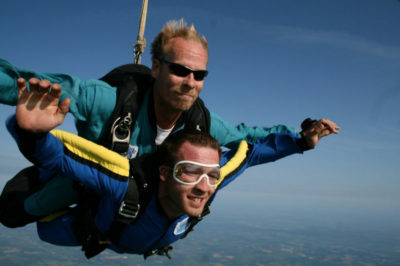 In 1990, he met his wife who came out for a tandem skydive! Having flown in the military, I learned to parachute from the plane in case we got shot down. But not actually able to skydive because they (the military) didn’t want us to get hurt before we went over to Asia, I decided I needed to experience that – and once skydiving gets into your blood, it never really leaves. 2. You gained your love of aviation while in the military – what responsibilities did you have that tied you to aviation? I was a gunner in the 16 Special Operations Squadron that flew C-130E Spectre gunships in the greater Southeast Asia Conflict. To this day, I am the jumper on the plane, always staring out the window because I just love to fly! Plus it’s a lot more fun when you’re not being shot at! Jumping out of a Boeing 727 jet (a B.D. Cooper jump) at the “World Free Fall Convention” skydiving boogie in Quincy, IL, when I was still just a kid in the sport. My family who showed me what unconditional love is, and especially my brother who right now is fighting the fight of his life with cancer. My friends (especially Rita) and John Glenn. 5. Having made your first skydive in 1976, what keeps your fire burning for the sport? My friends – and being able to share something that is such a special experience with my students. Doing tandems, you’re sharing an experience that probably will be one of the top 10 things they will remember for the rest of their lives. Being part of that is SO SPECIAL to me. 6. What’s the best advice you can offer to anyone thinking of becoming a skydiver? When an opportunity presents itself in life, never say “I’ll do it next time”. 7. What is something about you that few people know about? I’m a space nerd! The Space Program and the shuttle has fascinated me since its beginning. I have been fortunate enough to witness eight launches, along with the shuttle’s first landing in Florida. I am the most hated man in my city. I write parking tickets. That is actually another reason I love to teach students. They really do like me – I’m their new best friend! I love to travel, be part of the world, and experience other cultures. I also enjoy quiet time at home in my garden. Just a couple: to be a better person tomorrow than I am today, AND to be healthy until I’m really, really, REALLY old & then to die while making love to my wonderful wife!